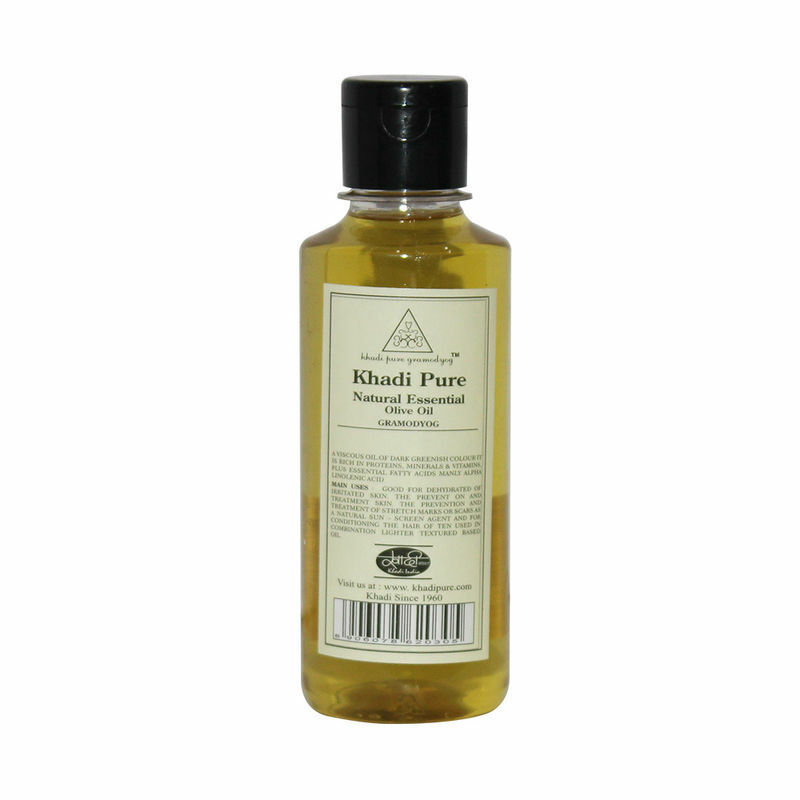 Khadi Pure Gramodyog Herbal Natural Essential Olive Oil a viscous oil of dark greenish color, it is rich in proteins, minerals & fatty acids vitamins, plus essential fatty mainly alpha linolenic acid. It is mild, non- irritant that suits all skin types and is rich in antioxidants. It's a multipurpose as it is used for hair, skin. Olive Oil is considered to be heart-friendly. Olive Oil can act as the natural oil, which gives extra glow to the skin just because of non-chemical content.